One of the worst situations a website manager can witness is coming to know that he is facing outbound link penalty. Now the question is that what is outbound link penalty? Site-Wide Penalty– In this type, all the pages of the website will be penalized irrespective of where the illegal links are present. Page penalty– Page penalty means only the page that contains the illegal link will be penalized and the rest of the site will stay as it is. Google does not have a fixed criterion as to which link is unnatural and which is not, so differentiating between the two types can be tough. The first thing could be checking for links that you sold. Many times paid links are the ones spamming bringing you outbound link penalty. Check if anyone has bought links from you and convert them into nofollow. Check all your reciprocal links. Reciprocal links are external links that two webmasters agree to have on their pages to get their traffic exchanged. Such reciprocal link may not be doing you any benefit other than making you vulnerable to link penalty. Guest posting their content on your website could be one of the places which may be bringing you spam links. No Linking to Spam Websites– Let’s say you notice a website approaching you which has been trying to deceive the search engines. These are the sites you need to stay away from. Websites that try to cheat the customers can lead you to get a penalty. Apart from this, you also need to ensure that your website does not have any tools and application that help to cheat on customers and search engines. Keep track of User Created Content – Keeping a track of user created content is as important as keeping track of the content that the website manager publishes. Make sure that in the comment section of the website, no user has put a comment that has spam links. One way to tackle this situation could be to disable all website links in the section and instead of displaying the entire URL, just display the text of the URL without any links. Guest Post Links– Guest posts are undoubtedly a great way to improve your website’s content and to attract a better audience. But what if your guest writer turns out to be the one who is getting you involved in outbound link penalty. Whenever you allow a guest writer to0 publish some content on your platform, always check it before putting the content on the website. The guest may have with or out without attached spam links to his/her post which can turn out to be bad for your website. Paid Links – Many times an external website offers compensation (money, services, etc.) to add its links to your website. If this comes to Google’s notice, Google may consider such links as illegal and paid and may penalize you for it. Link Wisely – Linking to other website is important as it adds value to your website. 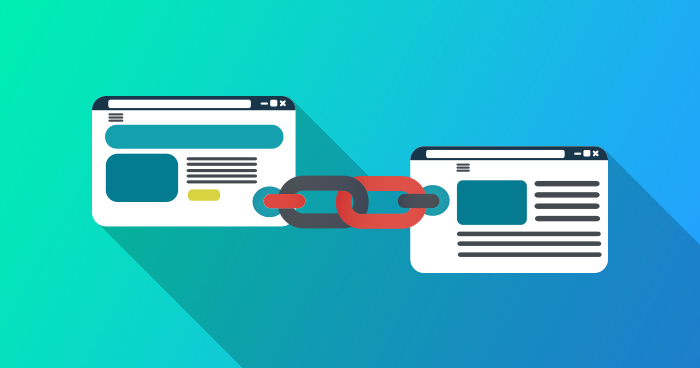 Many times to avoid getting involved in the trouble of outbound link penalty, marketers choose out of adding links. This could even do you more harm. The solution is not that you stop adding links but to make sure that whatever website links to yours must not be a spam. A penalized website can be a huge setback for your success as it not just stops work website from working but also reduces the traffic that you get by huge numbers. So to steer clear of any such problem keep a tab on any content that you publish and any link that you may attach from external websites. You may not be able to detect every spam link, but it is important to keep your eyes open and avoid as many illegal ones as possible.